Entretiempo is a period of time when individuals experience great passion, begin to find their own path, and take great risks. In Entretiempo, Sonia Olla and the prestigious fashion designer Modesto Lomba join their talents in an unique performance that combines fashion — and its iconic catwalk — with traditional flamenco. 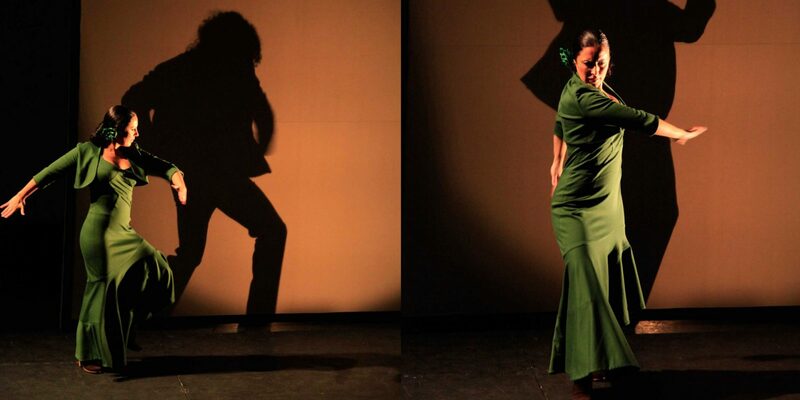 Sonia Olla, together with flamenco dancer David Paniagua and singer Ismael Fernández, among other important collaborators, honors the world of fashion through mineras, tientos, fandangos, alegrías, bulerías and soleares. In Madrid on November 22, 2012, at Teatro Lara de Madrid. In Barcelona on November 26, 2011, at Teatro Nuria Esperert de Sant Andreu de la Barca. Models: Cristina Maeso, Naomi Castillo, Silvia Gutiérrez y Alexandra Johnson. Percussion: José Antonio Haro Álvarez "Montaña"